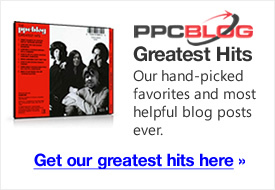 One key to building a winning PPC strategy has little to do with PPC at all. The business you’re advertising via PPC needs to work on the web. What are some examples of businesses that work well, and those that don’t? Items that don’t sell so well include items that are easy, and cheap, to source locally, very heavy items that can’t be shipped easily, and items that need to be seen or tried on for size and fit. Having said that, people can and do sell such items over the net, but the rule of thumb when selecting a good product for selling on the web is to look for some barrier to purchase that the web smooths out. For example, some people order pills, like Viagra, over the internet, because the internet smooths out the embarrassment factor some people may feel if they go into a store to buy it. People order items from other countries where the item may be cheaper. The web smooths out the price difference. Some people order because they live far away from the shops, and want something delivered. The internet smooths out the distance problem. People will buy something they can’t get easily at their local store, like niche items. The internet smooths out the availability problem. Select an item or service that smooths out problems such as those mentioned above. All business is about solving problems. Real problems, as opposed to imagined ones. Ask yourself if you’re solving an actual problem people have, or an imagined problem you’d like them to have. Secondly, you need to connect with people. It’s easy to get lost in the numbers of PPC, but we must remember that each click represents a living, breathing human being. That person has needs, wants and problems to solve. That person is likely to have objections to buying that need to be overcome. Is your landing page solving a genuine problem for people? Is it speaking their language? Is it reassuring them that you can solve their problem? The visitors have all the power. They can back-click. They don’t have to spend any time on a page that doesn’t speak to them, using their words, and addressing their specific problem. If your landing pages aren’t converting as well as you’d like, make sure you’re solving a real problem for someone. Picture that person in your head. Who are they? How old are they? How do they speak? Why did they click thru on your advertisement? Of course, there is a lot of guesswork involved, but it’s a good exercise to remind ourselves that maths is only one half of PPC. The other half is about people and language. How Do You Figure Out The Language? Test various web pages using different text. Phrase the solution in different ways. Do you get better results if you empathize with a persons problem? Do you get better results if you re-state the problem? Do you get better results if you weave the problem into a story? Do you get better results if you focus on benefits? Do you get better results if you focus on negating risks? Check out keyword research tools, like Google’s related searches. As you search, Google will present you with related queries. These queries give you a unique insight into the minds of searches. Look for patterns, particularly patterns related to commercial activity. Sell something that requires building significant trust? These days, people are loathe to give out personal information, especially to people they don’t know, so it’s a good idea to give them an incentive to do so. Can you give them something of value? An e-book, perhaps. A free white paper or report. Even better if you can couple it with an auto-responder which helps you gain repeat exposure and test different sales strategies. Giving people something to read is a useful tool in the sales process. If you tell a convincing story about why your solution is best, and frame the story to lead to your solution, you get people closer to your cash register. Remember, only impulsive people, or those with a very strong, time-sensitive need, buy on the first look. Most people will consider, research, and comparison shop. Having something of yours they can take away increases the chances they’ll return. Finally, review trust aspects of your landing page. Why should the visitor give you their credit card number? Are you giving them enough reassurance that you can be trusted to deliver? Cover all the basics – secure payment process, contact details, a clear returns policy, and guarantees. Can you give actual examples from beginning to end? I see the gardening tools example and I see some of the kw’s that show commercial intent but could you show what you mean by how the searchers are thinking in the related searches? Testing can be carried out on a dynamically generated website by setting up the server to display the different variations of content in equal proportions to incoming visitors.